How “Clean” is Your Diet? Without a doubt, consistent challenging exercise is the number one anti-aging strategy. However, without the support of a healthy “clean diet” no amount of exercise can make you look and feel young. 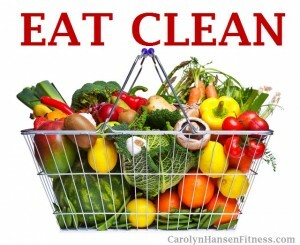 A healthy diet is your ticket to feeling better…that’s no big secret, but combine challenging exercise with a healthy clean diet and you also have your best ticket for slowing the aging process.